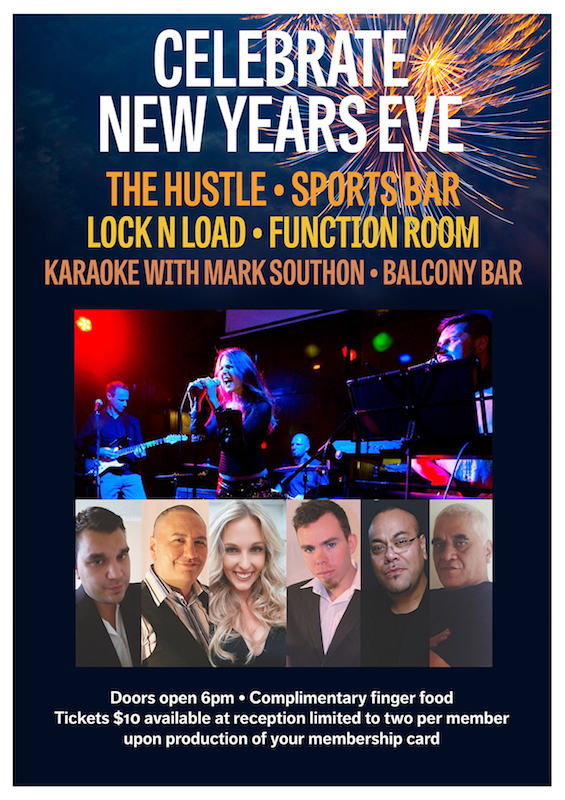 Celebrate New Years Eve at the Club - Entertainment for everyone - The Hustle in the Sports Bar, Lock N Load in the Function Room and Karaoke in the Balcony Bar. Doors open 6pm and complimentary finger food. Tickets $10 available from reception and limited to two tickets per member.